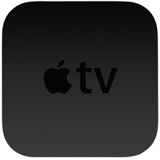 Steve Jobs outlined a potential future for the Apple TV in an email correspondence with top Apple executives in 2010, a year before his death, noting potential plans for the "Apple TV 2" that included TV subscriptions, apps, browser and a "magic wand" control device. The email was published today as a part of Apple's lawsuit trial with Samsung (via The Verge). While the potential Apple TV features aren't mentioned in concrete terms, they do provide insight into features Apple was internally discussing and considering in 2010. Additionally, the internal email also confirms that Apple has considered using its patented Nintendo Wiimote-like MagicWand to control Apple TV. Jobs' email also goes over other subjects for Apple's 2010 Top 100, a secret meeting in which top Apple employees discuss strategy for the upcoming year, including plans for the "plus" iPhone 4 that was eventually named the iPhone 4s and a low cost iPhone model based on the iPod touch that would replace the iPhone 3GS. Plans for the future of iOS are also mentioned, with Jobs noting that strategy should be to "catch up to Android where we are behind (notifications, tethering, speech...) and leapfrog them (Siri, ...)". The subject of Apple's now defunct MobileMe service makes up another large part of the email, with Jobs acknowledging that Google was "way ahead of Apple in cloud services" and that both the search giant and Microsoft had better technology than Apple but had not "figured it out yet". The email also notes that Apple's plan was to improve MobileMe to the point where it tied all Apple's products together and made its ecosystem even more "sticky", so that it would be more difficult for customers to leave for a competitor. Finally, the email makes mention of Apple's desire to further its lead over Google in music and great apps in the App Store as a part of Apple's "holy war" with Google, with mentions for both The Beatles and iTunes in the Cloud. 2010: "where do we go from here?" Apple must be wondering who is the 'mole' responsible for leaking those --most likely-- confidential documents to Samsung. Or maybe it was given to the lawyers during discovery. I swear - why does everything have to be a conspiracy. The memo that is referenced in this story paints a different picture. One of a company that also fears its competition and is trying leapfrog them as soon as possible. But I agree - people will still buy it in droves. Respecting your competition is healthy. When you stop evaluating your weaknesses, you have problems. Apple must be wondering who is the 'mole' responsible for leaking those --most likely-- highly confidential documents to Samsung. Huh? It's not a mole it's part of discovery. These were ideas put forward in 2010.. My guess is over the past 4 years Apple has refined those ideas. Ain't gonna be no magic wand. I find it odd that this whole email was brought up in a court patent battle about the iPhone - what does the AppleTV have anything to do with this? No Rogifan - it has to be a mole. Or Samsung beat the ever loving crap out of someone at Apple to get the document. Or Samsung stole it physically or by breaking into Apple's network. Because clearly there was no other way. ETA: By the way - you tend to be vocal about MR's editorialship at times. Does it not strike you as interesting that they buried the lead? I read the whole email. Width of vision, clarity and strategic planning behind Steve's email is breathtaking. I also noted that most of his ideas outlined in email have been implemented, specifically lower cost iPhone, iCloud sharing and storage, saving and backing up to iCloud from all Apple apps, AirPlay to AppleTV and etc. But the vision of Jobs is great. Do you really believe everything on this list was just Steve's vision or idea? Seems to me he was providing a summary of what would be discussed, and probably most of this stuff was already being discussed at weekly executive meetings. They're leading the portable computer industry in software, battery life, hardware dimensions & weight, and usability. They're leading the mobile phone industry in the compact phone segment. I never said otherwise. However, there are at least a few "regulars" here who would insist that Apple never cares about or does anything as a reaction to competition. Did anyone notice this at the bottom of each page?